As always, around this time of year, the arrival on our shores, of Saint-Nicholas, with his band of merry Zwarte Piet’s (Black Peter’s), causes a few people to question the appropriateness of it all. They’re not concerned that he may be burning fossil fuels, in order to propel his steamboat all the way from sunny Spain, but rather by the skin colour and curly hair, of the Zwarte Piet’s. How can adults be so naive? Have they forgotten that, in order for the children to receive Saint-Nicholas’ gifts, his faithful helpers must descend scores of uncleaned chimneys, taking many a risk. The Zwarte Piet’s are not black, they are just very, very, full of soot. As for the curly hair, yours would be curly, too, if you had spent many a day on a steamboat, navigating through choppy waters. The children wait for the day of the arrival of the “Sint”, as he is affectionately called – with trepidation. Whilst on his way, from the confines of deepest Spain, daily news bulletins inform us of the latest catastrophe to fall upon the never tiring Sint. Events are reported, that may even jeopardise the very thing that the children are waiting for – the safe delivery of their presents. But at last he is here, never arriving at the same port, so that, year after year, the whole of Holland can witness, at first-hand, his arrival. It is a day that all children will treasure – the “intocht” (incoming) of the Sint. Every night, from the day of his arrival, up to December 5th, children leave an old shoe with a carrot, on the window sill. They hope that a Zwarte Piet will climb down the chimney, and leave a little gift in the shoe, as thanks for them feeding the Sint’s beautiful white horse. No wonder the Zwarte Piet’s are covered with soot. For Judi Messman, of the University of Leiden, young children cannot make the link between Zwarte Piet and a black person. In her study, a group of more than 200 children had to categorise image cards, comprising images of Zwarte Piet, white and black people, and clowns. Only 11% of the children classified Zwarte Piet according to skin colour. Interestingly, most of the latter children belonged to mixed-race communities, suggesting that they might have been more “susceptible” to a person’s skin colour, due to their environment. Young children, for so long that they believe in Saint-Nicholas, will always love Zwarte Piet. You cannot but love someone, who makes you laugh, gives you a handful of “pepernoot” cookies on every street corner, and fills your room with gifts, on “Pakjesavond” (litterally meaning, packages evening). The controversy surrounding Zwarte Piet, and its racist undertones, doesn’t rest with Zwarte Piet, nor does it rest with the children. It is purely a problem that unbelieving adults have. Not only do they not believe in Saint-Nicholas anymore, but they do not believe that young children can be void of racial prejudices. Racism is learned, and not inherited. It is the behaviour of responsible adults that will influence the thoughts and behaviours, of their children. If Zwarte Piet were to disappear, he would not be the first to succumb to the misplaced judgements of consenting adults. In the UK, the “Golliwog” began his life in 1895, as “Golliwogg”, in a story entitled, “The Adventures of Two Dutch Dolls”, and written by Florence Kate Upton. The character became very popular, especially in England, appearing on a wide variety of products, one of the most famous of which, was Golden Shred, a marmalade manufactured by Robertson. Golliwog dolls were also extremely popular, being only surpassed by the teddy bear. I can understand why, in 2002, Robertson officially ended Golliwog’s presence on its jam and marmalade jars. The character, apart from being offensive to wrongfully sensitive people, had nothing to do with the product. The official reason for the discontinuation was, “We are retiring Golly because we found families with kids no longer necessarily knew about him. We are not bowing to political correctness, but like with any great make we have to move with the times.” Political correctness had, of course, nothing to do with it. Children will be children, and adults will be adults, I suppose – and there lies the problem. The wharped attitude emanating from so-called “mature”adults is perfectly exemplified in the correspondence between Guardian journalist, Richard Seymour, and Conservative MP, Robert Goodwill, in 2012. I, too, had a Golliwog doll as a child, and I loved him. He was my favourite, along with a very worn penguin. Did I ever, for one moment, think of potential racial connotations? Children live in their own world, without (at least for a short time) the prejudices and bigotries, that are so widespread in the adult world. If children cannot have an innocent vision of the world that is still new to them, then what hope is there? We have time enough, as adults, to misunderstand what goes on in a world that escapes us. Invoking child innocence is not avoiding historical reality, because the child is innocent – per definition – and simply knows nothing about racism. Tackling racism is, of course, of paramount importance. 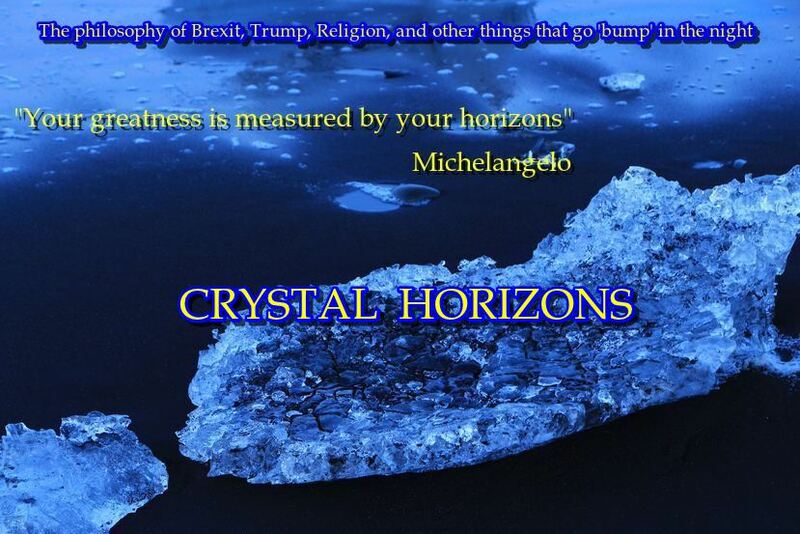 But the wrongful dipslacement of racial arguments into situations where they do not belong, will not help solve the problems that we are trying to solve. Dutch children want to receive presents from Zwarte Piet, on Pakjesavond, and nothing else. 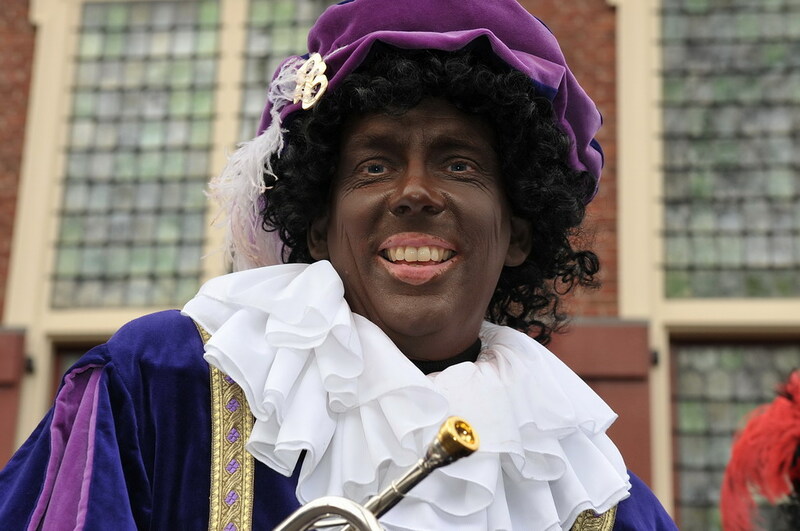 Let us admit, for argument’s sake, that Zwarte Piet is, indeed, black. Let us also decide to replace him by a “white” Piet, for helping Saint Nicholas in his task (unless we get rid of the tradition altogether). The problem would seem to be solved, at least until our children ask us for the true definition of the word ” discrimination”, and what it means to black people.